People who love their cars, love their cars. Any tiny scratch, bug on the grill, hair on the seat, or anyone who even remotely tries to sit in the car with food or drinks — forget about it. So when your car’s window tinting begins to peel away a tiny bit in a corner, you notice it immediately and take it right away to Accu Tint for repair! However, not everyone is as quick to notice these small details. So, if you’re reading this and are thinking about the windows in your car wondering if the tinting needs some maintenance, keep reading to learn the biggest signs that your window tinting needs some attention. Everyone has seen the cars with window tinting that has unsightly air pockets. Even if the car is the sickest ride on the road, these air pockets make the car look cheap and improperly cared for. While these bubbles do occur gradually over time, they are actually a sign that the tinting wasn’t installed correctly. Or they could occur if you happen to roll down your windows too soon after the tinting was installed. One of the best ways to prevent these air pockets from developing is to ensure that your installer is a professional and has the experience and knowledge to get the job done right the first time. After the pockets have developed, however, they are nearly impossible to fix. You will need to schedule an appointment and have the tinting completely reapplied. For the average car driver who has window tinting installed, after the first few weeks or month of being extremely careful, you get back into your normal habits and forget about being careful to avoid scratching the surface. Whether you’re in a hurry and the seatbelt scratches the window, your keys, or your kid’s hockey stick, there are a variety of ways to cause damage to the surface of the window. Small scratches may not seem like a big deal, but over time, they will continue to get bigger and bigger. Humid or bright conditions will cause small scratches to get worse faster. To prevent this from happening, there are a few things you can do. First, when you are having your car’s window tinting applies, choose a type of tint that is stronger and more durable. This may be a larger upfront cost, but you will appreciate it when the product lasts longer. Second, simply try to be more careful getting in and out of the car. Keys are one of the biggest culprits to causing scratches in window tint. Just like air pockets, peeling edges can make a car look old. This happens as the adhesive that’s holding the tint to the window breaks down as it gets older. Brittle adhesive will first start peeling away from the edges in the corner of your windows and you may hear a crackling sound when you roll the windows up and down. While a professional installation can make a big difference in how long the tint lasts, there’s nothing you can do about the glue breaking down as it ages. The life of your car’s window tinting will depend greatly on the type of tint you choose. A hybrid tint could last around five years and higher quality tints may last between 10 and 12 years. The heat and humidity in Nashville may play a part in the life of the window tint as well. 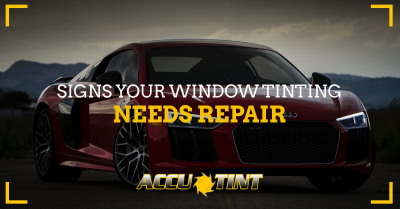 If your car’s window tinting is getting on in years, it may be time to pay a visit to Accu Tint for an inspection and possible reinstallation. Learn more about the types of window tinting and how to care for it here. The team at Accu Tint have years of experience and are passionate about providing high-quality, beautiful tinting on your car. 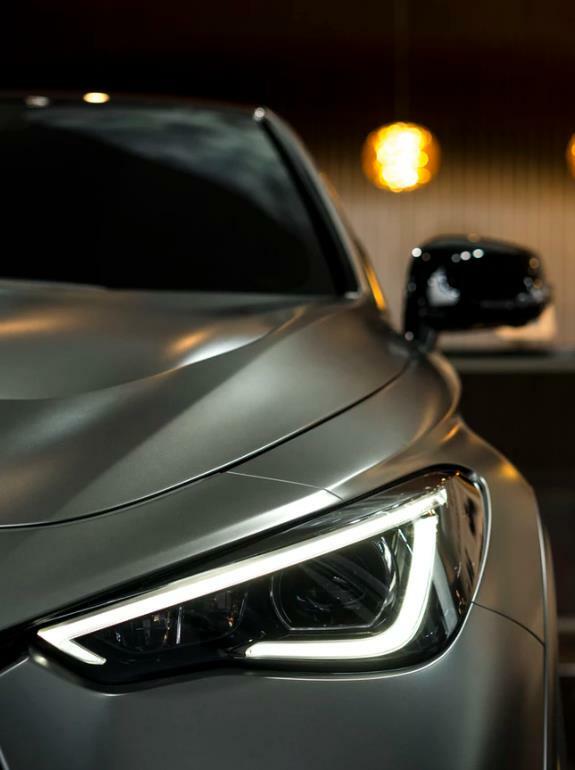 Whether you drive a little Honda Civic or a BMW 5-Series, window tinting can provide a vehicle with a smart, stylish look and you will feel and look great driving down the road. But when scratches, air bubbles, or peeling edges start to appear, schedule an appointment with us and we’ll take care of it. Serving the areas of Nashville and Southern Kentucky, we’re here to make sure your love your car.